To provide total Kerbal customiation on whole new levels - Currently in excess of 250+ textures and more coming all the time! 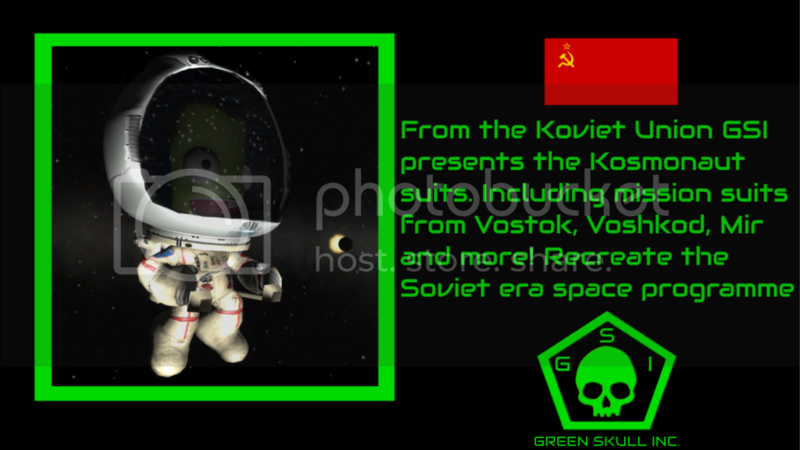 I introduce to you the Kerbonauts from the Kerbal States, Kosmonauts from the Koviet Union and Custom Spacesuits! 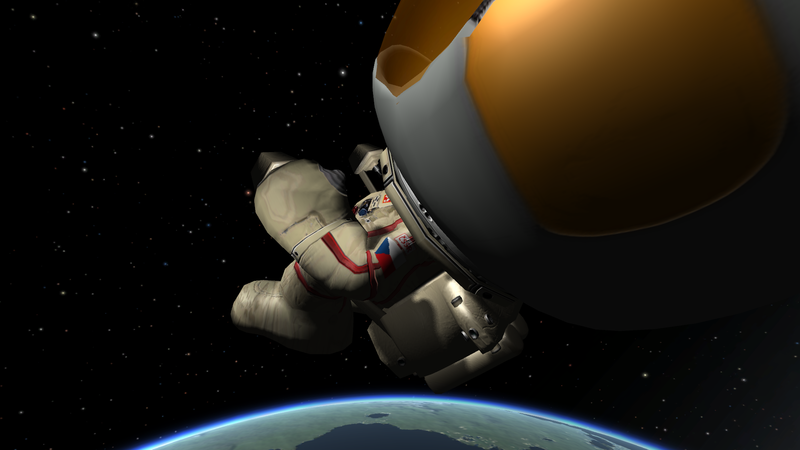 With this mod you will be able to customise your kerbals with special EVA and IVA spacesuits, helmets, visors and more inspired by real life astronauts and cosmonauts. 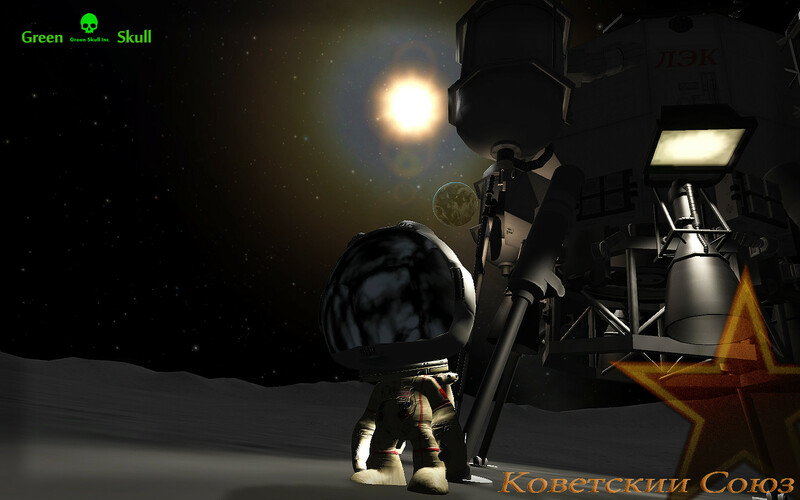 Have your very own space race right here in Kerbal Space Programme. Play stock? 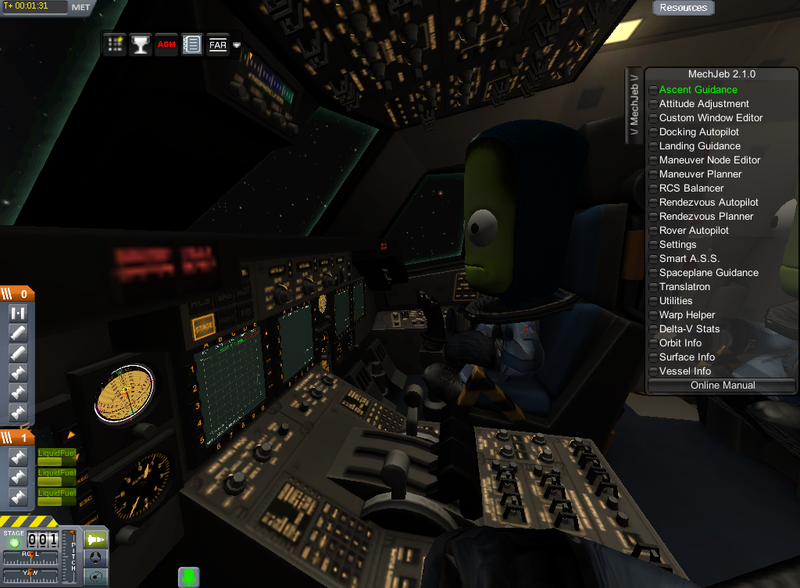 No problem the KSP pack will bring you different KSP badged spacesuits, helmets and the same custom visors as the rest. How about packs consisting of spacesuits inspired by famous films? Kerbalgeddon for the ARM pack! With more planned. KSO Shuttle Suits - Station Suit to follow! Professor Phineas Kerbenstein's Wonderous Vertical Propulsion Emporium Steam punk divers style suit! The download contains the excellent TextureReplacer provided by Shaw, pre loaded with textures so its ready to go. Texture Replacer brings a whole new dimension with the new reflective visors feature and plenty of expansion planned. 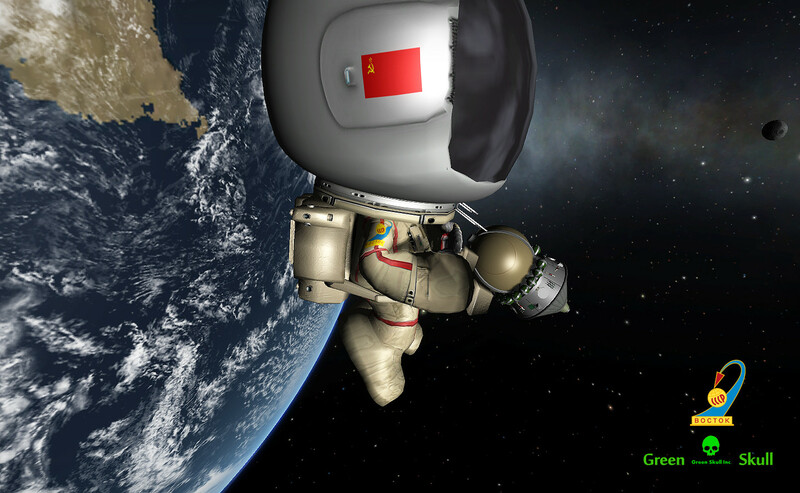 Current pack version is 1.4.1 Compatible with KSP 0.23.5. Yes there may possibly be bugs. Yes some of the textures need work. Yes there will be more packs and textures! Release v0.38 Update to TextureReplacer v1.4.1 Includes new file structure, reduced size downloads but still with same textures. Fixed flag issue. Added IVA suits to FASA and KSO packs. 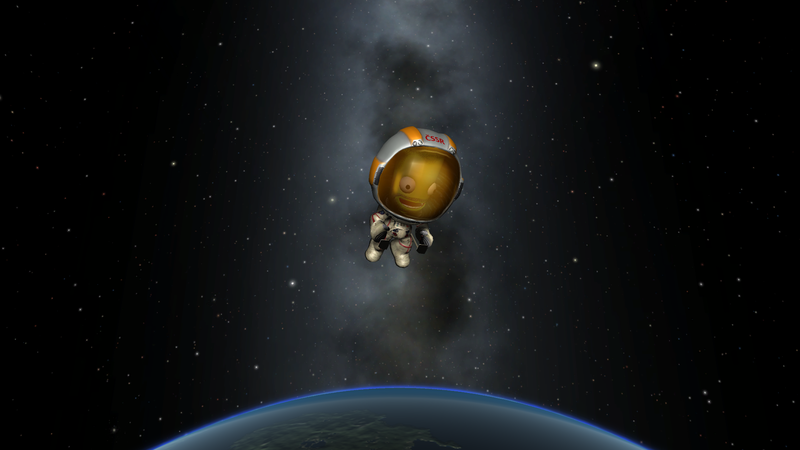 Now if you are flying a FASA Gemini pod, the awesome Apollo LEM or the excellent KSO in those packs your kerbals should all be wearing the correct IVA suits. When you exit your character will be wearing the default suit for them. In the case of KSO as standard it's KSP suits but this is easily changed. Full instructions can be found by reading the enclosed README file or available to download seperately HERE. As a bonus all packs now come with the G.S.I. black / green suits. The FASA pack for use with FASA spacecraft - Including mission patches from Mercury, Gemini and Apollo. FASA Pack v0.38 - MediaFire. The Kerbal States pack. 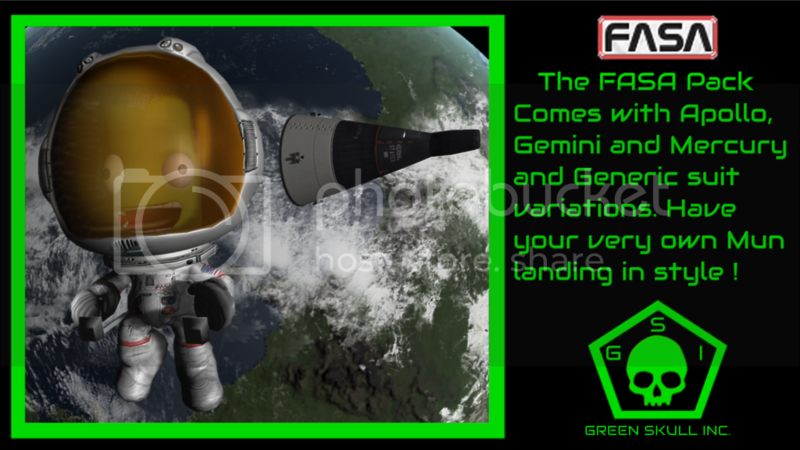 Includes the Kerbalgeddon film suits and Mercury, Gemini and Apollo missions! 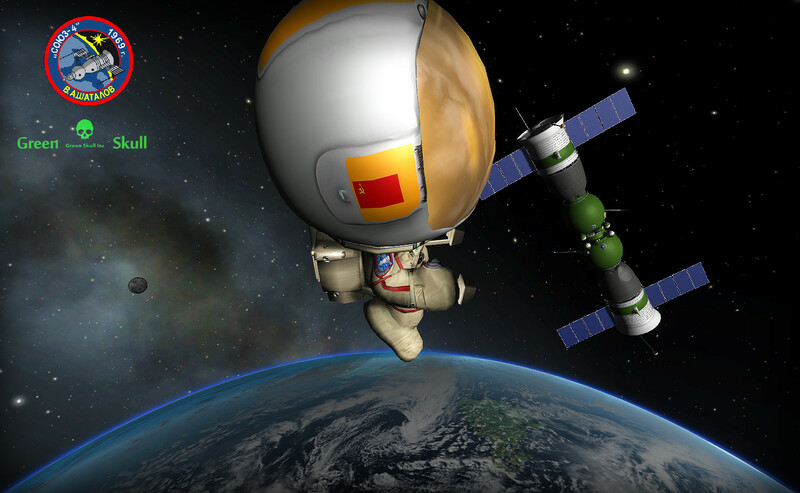 Kerbal States Pack v0.38 - MediaFire. Koviet Union Pack v0.38 - MediaFire. The KSO pack for use with the excellent KSO shuttle and stations. 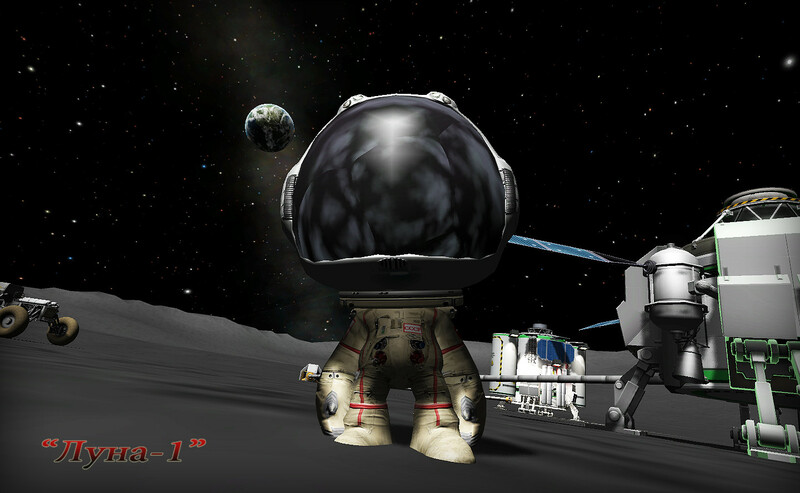 Includes Phase 1 and 2 Suits and helmets, KSP standard pack plus bonus kerbalgeddon suits for use on asteroid redirect missions involving the KSO! KSO Pack v0.38 - MediaFire. 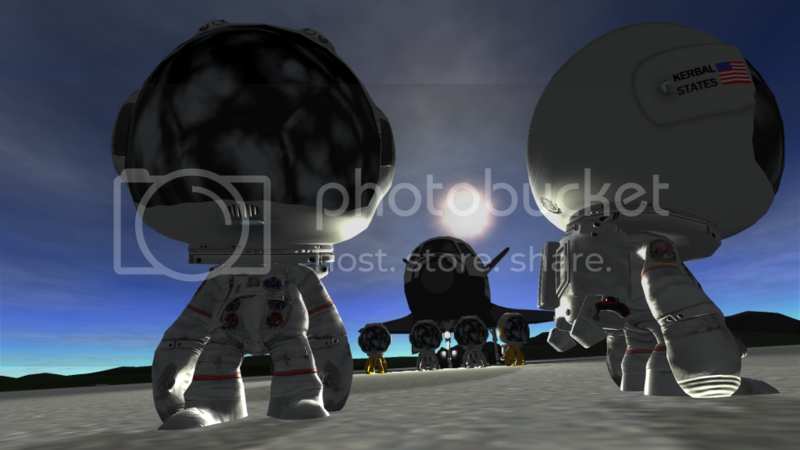 The KSP pack for use with standard installs and non Kerbonaut, Kosmonaut or other missions. 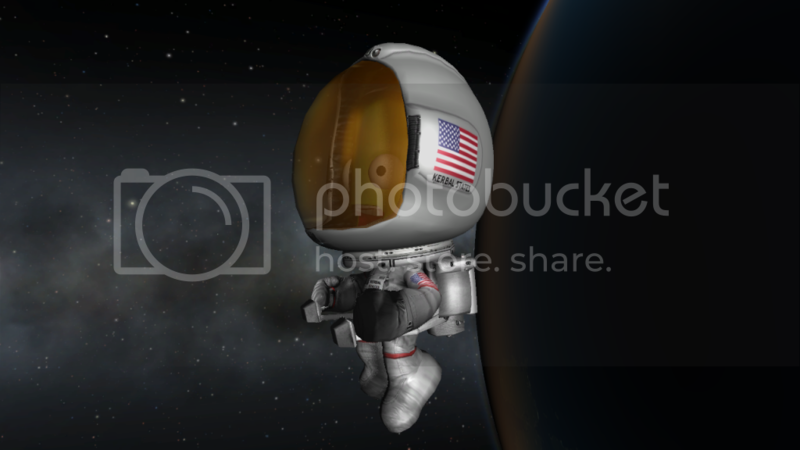 KSP Pack v0.38 - MediaFire. The Steam Punk Pack is the latest available for use with Professor Phineas Kerbenstein's Wonderous Vertical Propulsion Emporium! 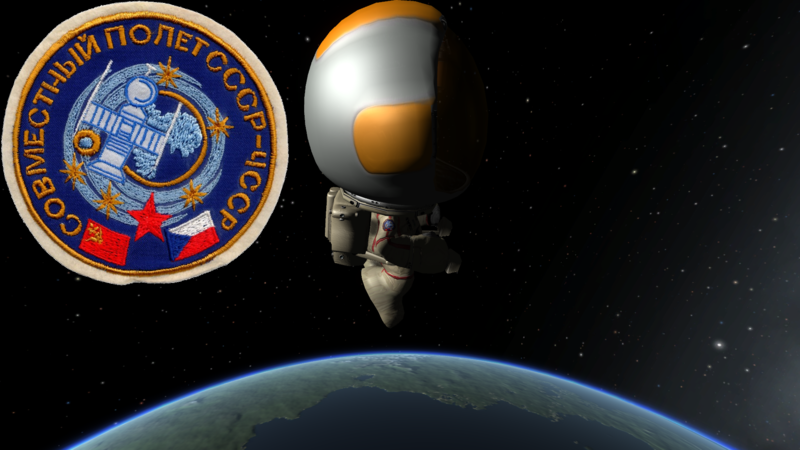 Also includes KSP standard pack. Steam Punk Pack v0.38 - MediaFire. And finally the MEGA pack. So you want it all? Expect longer download times as current file size is 220MB compressed. Don't be put off as you only add what you need / want from 220MB of alternate textures! 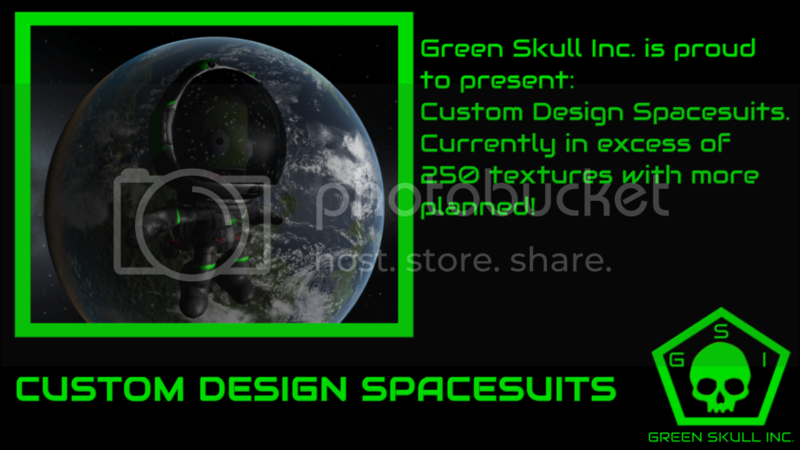 Get your BLACK Green Skull Custom Suits HERE. MEGA Pack v0.38 - MediaFire. Not all pictured textures may be available as some are for personal, pictorial or test use only. Got your own awesome mod, ARE SCOTT MANLEY / YouTuber and want some custom suits made? Please contact. I really love to see screenshots posted in this thread of your missions using my suits! Closing thought - I run in EXCESS of 40 mods on my personal install to create "My own KSP World Space Programme". You are only replacing original size textures with a slightly bigger file. The increase in RAM required is very minimal - Unless you customise a LOT of Kerbals and then you are loading in a lot of extra textures! So don't be put off by the 220MB MEGA pack download as only a tiny portion of that goes into the game as standard! or are designed by Green Skull to represent but not copy originals. Sippyfrog's skybox contributed by Sippyfrog. That is just the FASA Early Alpha pack! Oh and now the KSP pack! Announcing that the Koviet Union pack has landed! Another truly excellent screenshot by CERVERUS! I love the Koviet Union spacesuits. Downloading the KSP one now. Thank you! 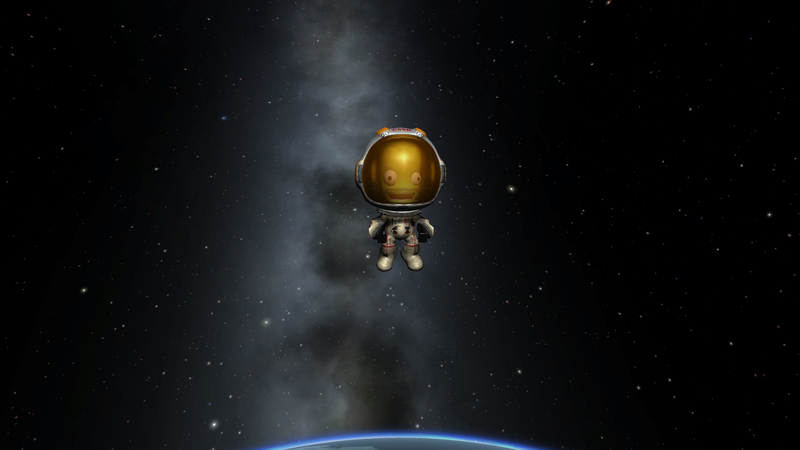 Remember you can use just the alternate textures from the KSP pack. 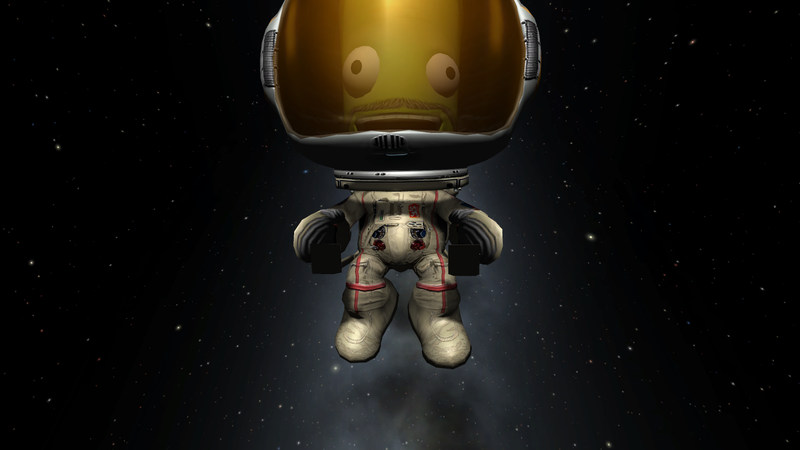 Kerbal States pack ready for download!!! Biggest so far. Comes with Mercury, Gemini and Apollo missions and the BONUS Kerbalgeddon suits! 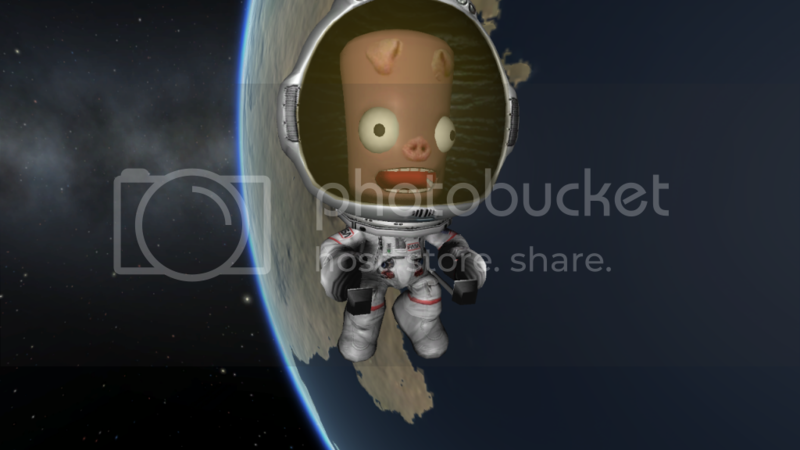 Celebrating Beta release and update to TextureReplace v1.2 Spacepig is now included in all packs! I don't know...i change the TextureReplce v1.1,with the v1.2,but the "Black Reflective EVA Visor" i don't like it with this update! I change it again to the TextureReplce v1.1!!! I'm going to make my own reflections to use soon. More choices! Congrats on the release(s)! Loving what you've done with these packs. Engines from Kosmos (Kosmos_RD-0225) rescaled and change the .cfg for use Liquid Fuel/Oxidizer,and fuel tanks from NearFuture (Argon Tanks,with changes to .cfg for use with Liquid Fuel/Oxidizer)! Check your inbox,i send a link ! Really Great job Green Skull!! I have issues with reflective. Fresh install of everything plus mod. I still get a solid texture. Any idea? Have checked and I am using the Alternative textures and the jpg that says reflective for black. Does not look like above.